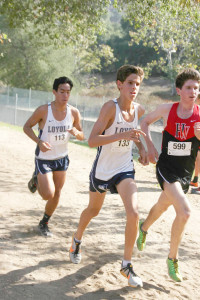 The Loyola varsity cross-country team, which is currently ranked fourth in CIF Southern Section Division II, is enthusiastic and ready to continue its already solid season. The Cubs are prepared to continue their rigorous training regimen that began in June, according to head coach Lalo Diaz. The team began the season with the annual Blue and White Meet on Saturday, Aug. 29. They officially began the season with a first place finish in the Cerritos Invitational at Cerritos Regional Park on Saturday, Sept. 5. These early meets were a good opportunity to find out where all of the runners are individually, according to Coach Diaz. On Saturday, Sept. 12, the Cubs continued the season with the Rosemead Invitational at Rosemead High School. The nighttime meet in Rosemead was cut short due to the failure of a nearby transformer, which led to all of the lights being shut off during the junior race. Because of the power failure, the senior race did not occur and was not rescheduled. According to Coach Diaz, the juniors came in fourth place overall, but top individual performances came from Charlie Sherman, Alejandro Salinas and Adrian Jauregui. Following the Rosemead Invitational, the Cubs raced in the Mt. 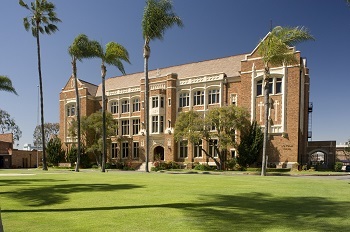 Carmel Invitational at Balboa Park in San Diego on Saturday, Sept. 19. With the help of top individual performances from senior team captain Jonathan Piñon; junior team captain Charlie Sherman; and sophomores Shane Bissell, Joshua Ma and Corey Kumamoto, the team placed first overall at the meet. The cross-country team will continue the season with some important meets, including the Mt. SAC Invitational, one of the largest high school meets across the country, on Saturday, Oct. 24, and the Mission League Finals on Wednesday, Nov. 4.